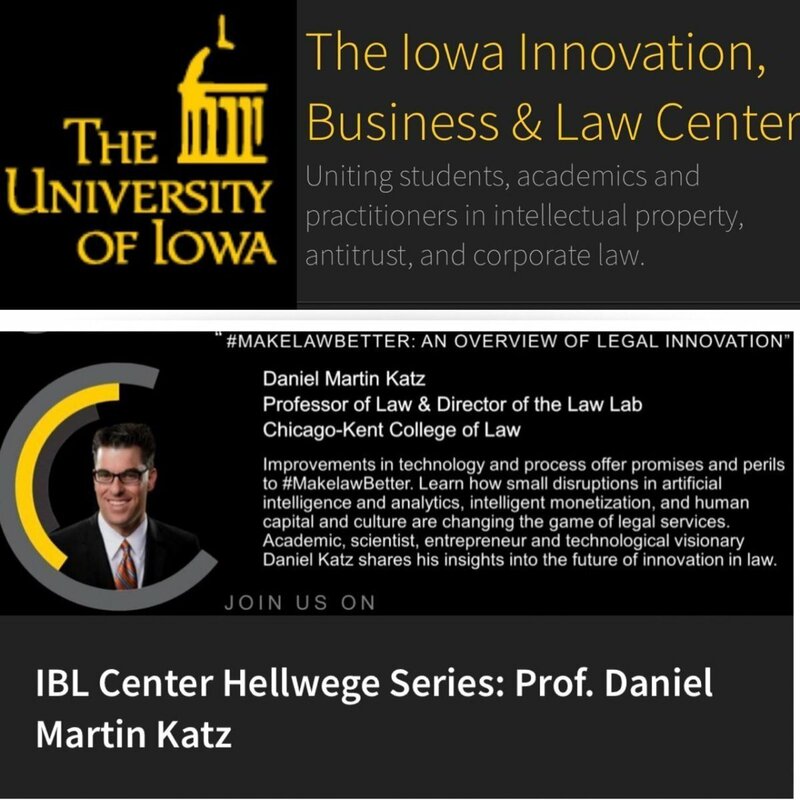 Tomorrow I am in Iowa City speaking about all things Legal Innovation at the University of Iowa Law School ! Access the #MAKELAWBETTER Talk Slides Here. 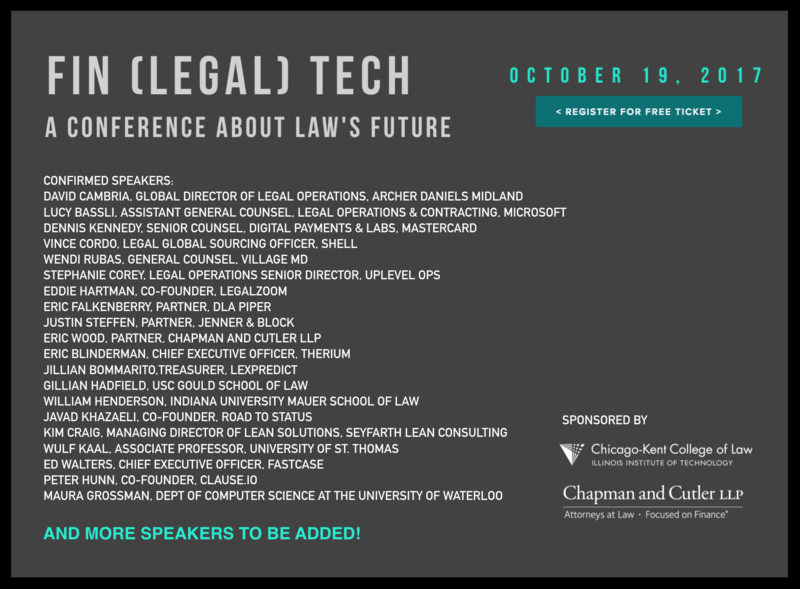 The Draft Agenda for the 2017 Fin (Legal) Tech Conference is Now Live –One Stage, No Panels, 20+ Speakers in 1 Day with More Speakers to Be Announced Soon. Sign up for a FREE Ticket Today — See you on October 19, 2017 in Chicago! 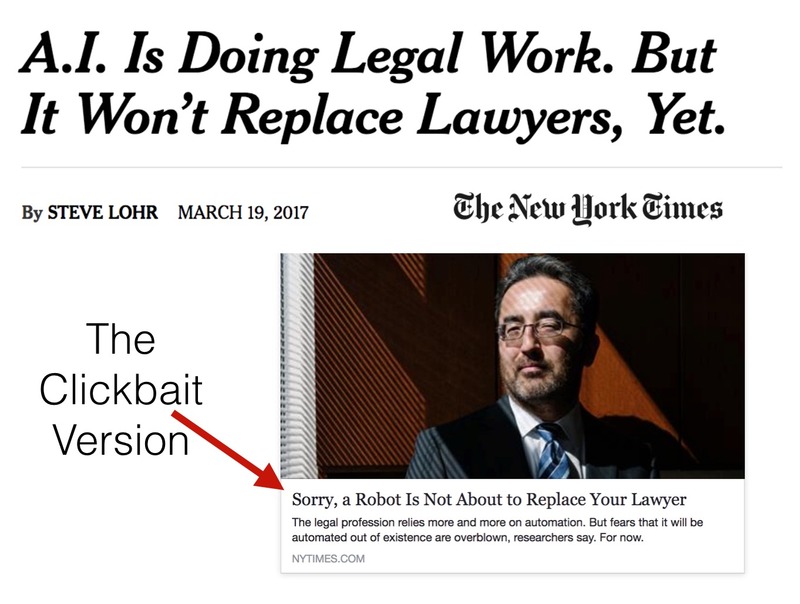 A more measured article than what we have seen lately regarding the so called ‘Robot Lawyers Thesis.’ I find it pretty funny that the NY Times Facebook link leads to the Click-Bait title but the final online version has the more measured title (see image above). 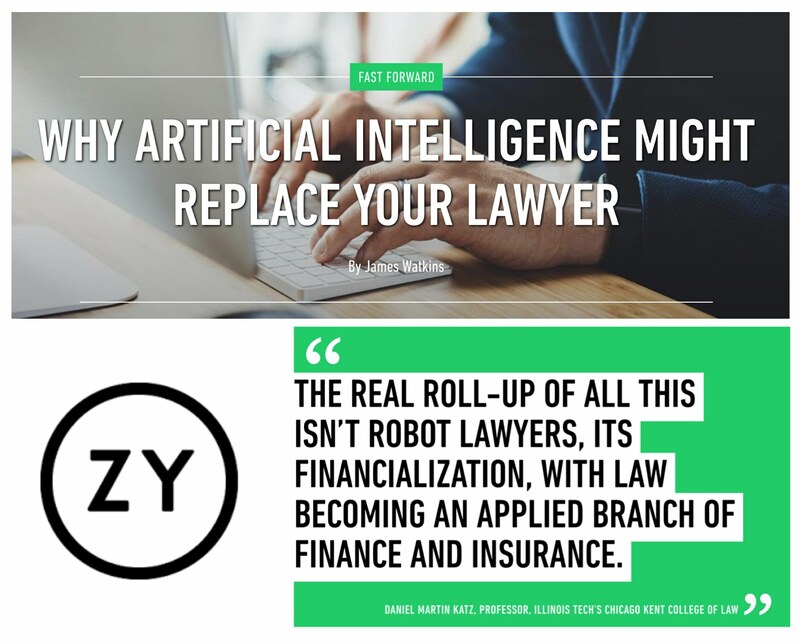 Plenty has been written about legal outsourcing, insourcing, and the growth of corporate legal departments and the application of process improvement methods (Lean / Six Sigma). 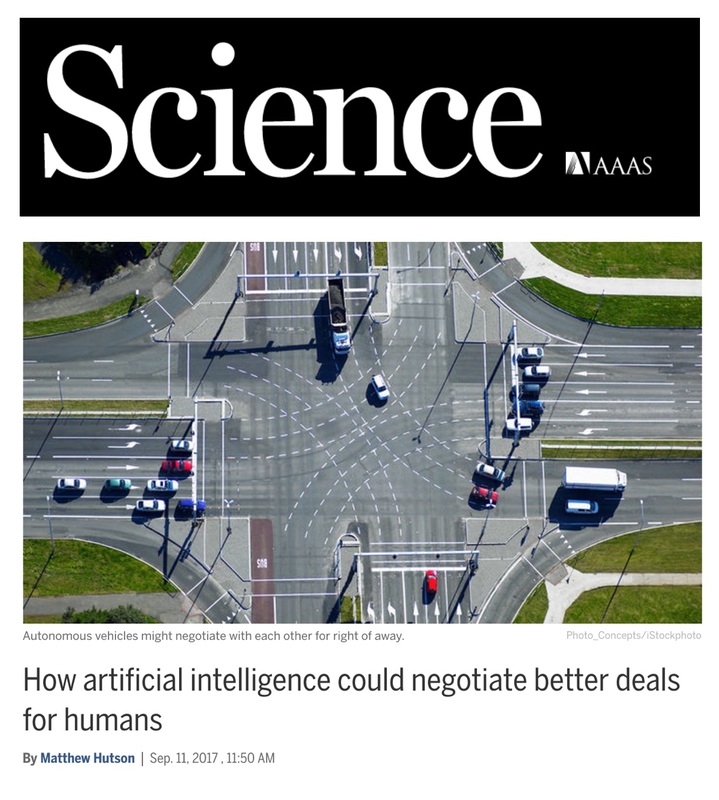 With respect to automation, it is curious to see the Times cite the Remus / Levy paper. At best, this paper is only relevant to the automation of the fraction of the work that is undertaken in Big Law (drawing from data from several years ago). They suggest an ‘automation rate’ of 2.5% per year. If that were to continue – this implies a rate for the decade of 25% just in Big Law alone. Again, this does not focus upon the other market dynamics highlighted above. It is worth noting their data comes from a period before the implementation of #MLaaS (Machine Learning as a Service). Since its inception, #MLaaS has made A.I. tools far cheaper to custom build to problems. 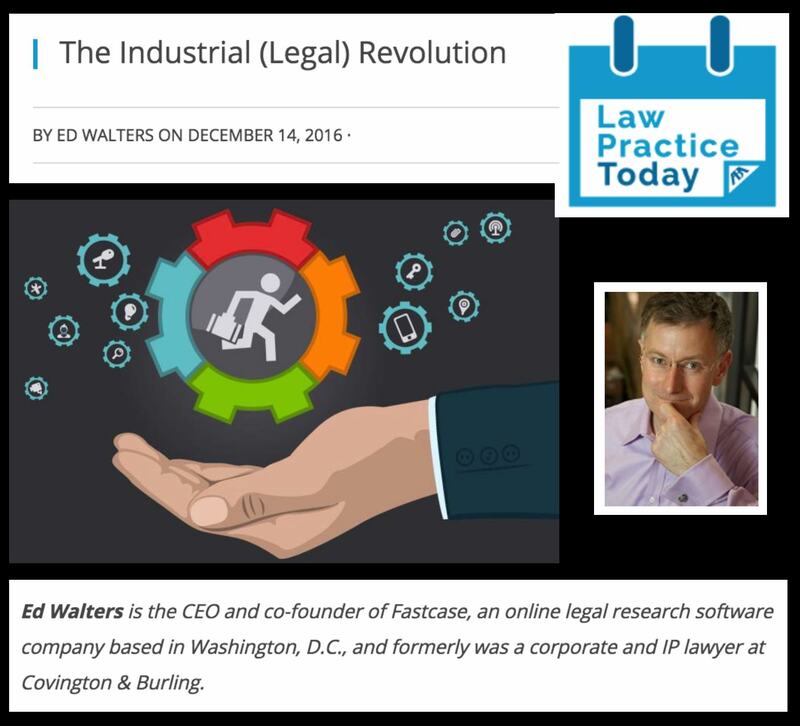 I have said recently that the best in legal tech has yet to be built (see slide 260). So thanks to the NY Times for shedding light on this field. But lets remember the #RobotLawyers Thesis is only a small part of the puzzle. 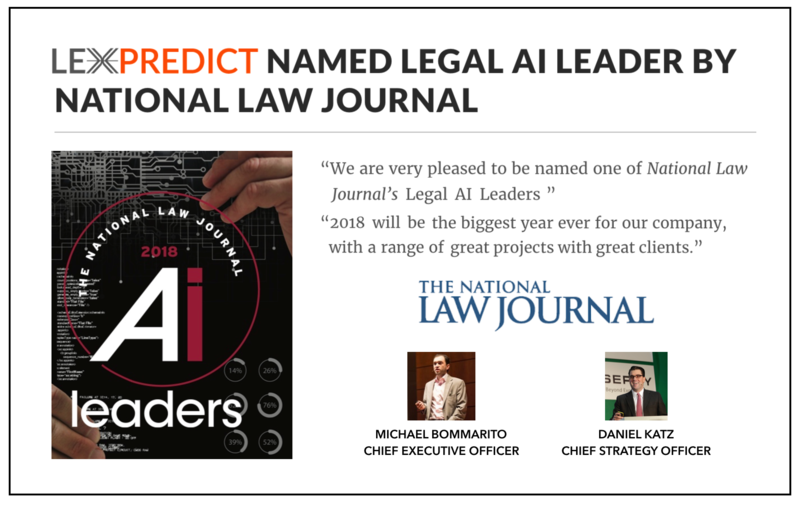 As a matter of strategy, some element of the #LegalInnovation agenda should be part of the strategic portfolio of every legal organization (law firm, law school, corporate legal dept, etc.) Why? Because those who do so can increase their standing in the relevant market in question. Only those who use the newest and best tools available will thrive in an ever-changing market. 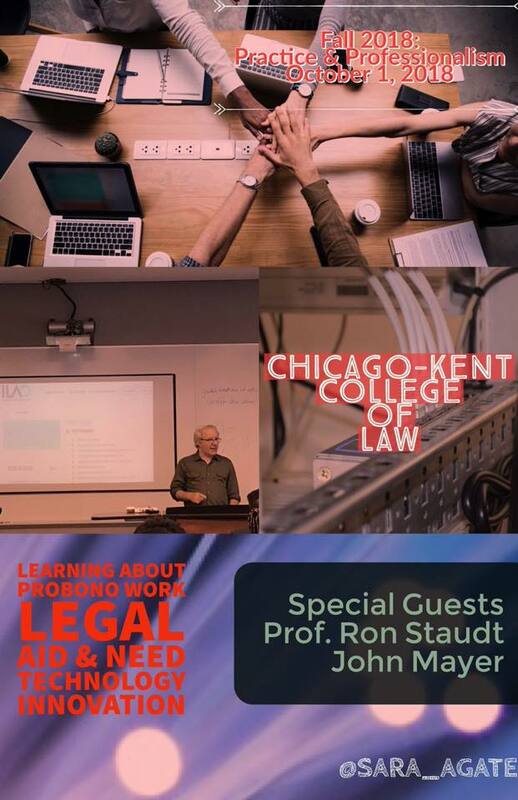 “It’s the alignment of tech and economics that is allowing all this stuff to start moving … The real roll-up of all this isn’t robot lawyers, its financialization, with law becoming an applied branch of finance and insurance” says Daniel Martin Katz, professor at Illinois Tech’s Chicago Kent College of Law.